And King Herod heard of it . . . He said, “John the Baptist has risen from the dead” (Mark 6:14). 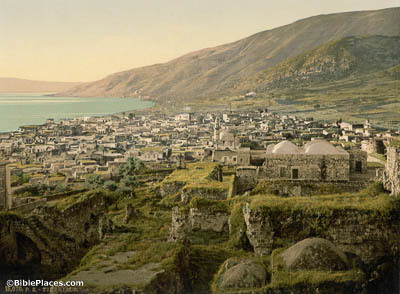 This image, taken in the 1890s, shows the city of Tiberias which Herod Antipas founded as his new capital in AD 20. Though the Gospels never mention Jesus visiting there, Herod nonetheless played an important part in Jesus’s ministry—most notably by beheading John the Baptist. 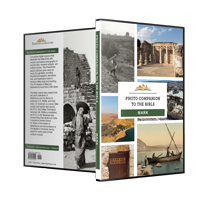 Herod on his birthday gave a banquet for his nobles and military officers (Mark 6:21). Speaking of the beheading, if Josephus is correct in placing John’s execution here at Macherus, it’s likely that Herod’s birthday party took place here, too. 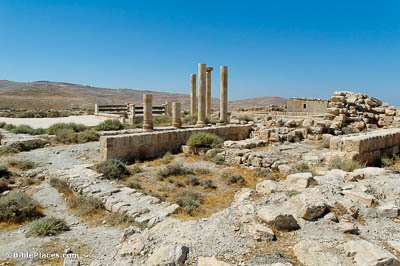 His palace on the summit has been recently excavated and reconstructed, so we may well know the exact place where Herod ordered John’s death. They went away in a boat to a deserted place by themselves (Mark 6:32). 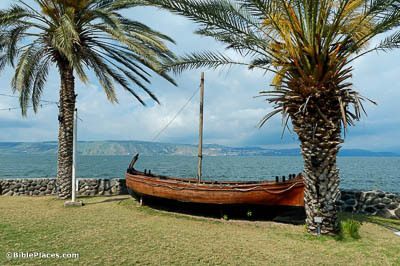 This reconstruction is based on the remains of a first-century boat discovered along the northwest shore of the Sea of Galilee, south of Kibbutz Nof Ginosar. It would have held up to fifteen passengers, making it the type of boat that Jesus and his disciples used frequently for transport. Those who ate the loaves were five thousand men (Mark 6:44). Though it may seem strange to only count the men at this miraculous feast, it likely has to do with the eating customs of the day. 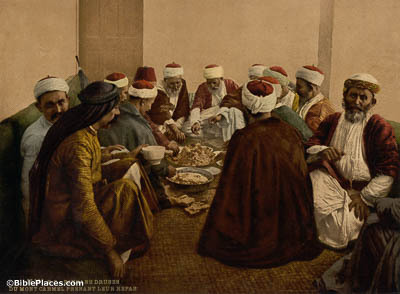 In the traditional cultures of Palestine and Transjordan, it was normal for men and women to eat meals separately. It’s probable, then, that the men at this meal sat separately from the women and children, making them easy to count as an independent group. After He had taken leave of them, He departed to the mountain to pray. When evening came, the boat was in the middle of the sea, and He was alone on the land (Mark 6:46-47). 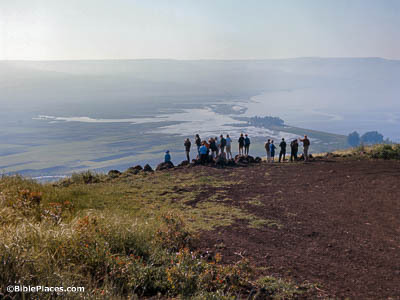 The mountains surrounding the Plain of Bethsaida, including this one, have a clear view of the nearby Sea of Galilee. As Jesus prayed, he would easily have noticed his disciples’ struggle with the wind, even as far off as he was, and decided to rejoin them. The account seems to imply it took several hours for him to reach them, which makes sense given the distance. About the fourth watch of the night He came to them, walking on the sea. And He would have passed by them (Mark 6:48). 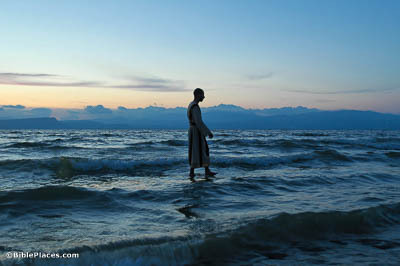 The fourth watch of the night runs from 3:00 to 6:00 am, meaning it was quite dark when Jesus walked on water. As this recreation shows, the disciples would have struggled to distinguish facial features, even closer to sunrise. It’s no wonder the disciples didn’t recognize their teacher at first.